A few months ago, I visited my abuela (grandmother) and saw this photo on her shelf. It reminded me of the show I Love Lucy. 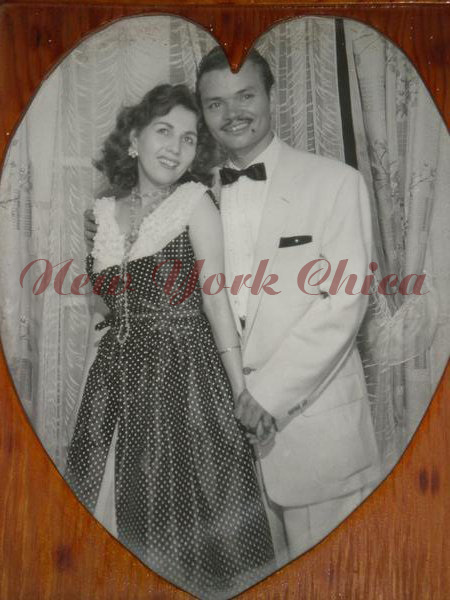 For some strange reason I thought wow, my abuela looks like Lucy and abuelo looks like Ricky Ricardo. How cute! For more Wordless Wednesday around the blogosphere, visit Ridingwithnohands.com, Latinaonamission.com & 5minutesformom.com. What a great picture of your abuelitos! Too cute! How sweet is that! I love the I Love Lucy show, it reminds me of it too! So cool!